Dinner: Monday - Sunday: 5:00pm - 10:00pm. Valet is located at front entrance of the hotel off of the 3rd Street Cul-de-Sac Self parking is located off of Carson Street between 3rd Street and Casino Center Drive (please bring parking ticket for restaurant validation). 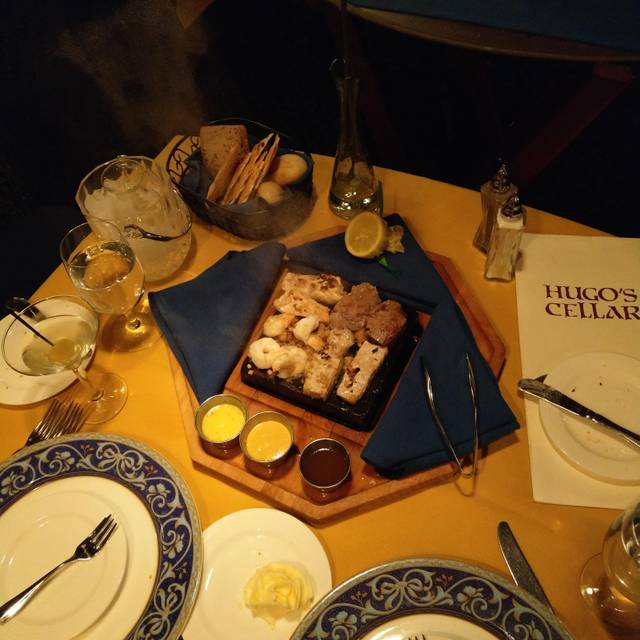 No trip to Vegas is complete without an elegant dinner at Hugo’s. This place is class, start to finish. But please, give the place the respect it deserves, this is Rat Pack era luxury dining. Dress appropriately, this isn’t a T-shirt and shorts place ( though you’ll likely see some ). When you dress like it’s special, it retains its magic. Hugo's Cellar has been consistently excellent for decades. 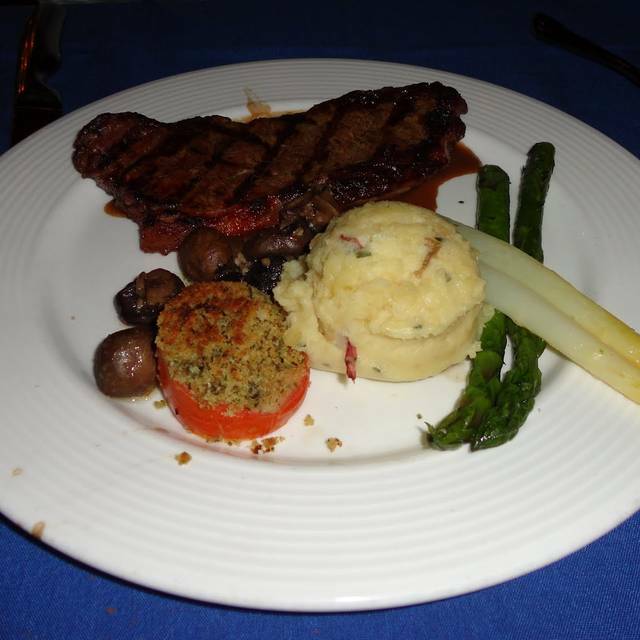 It continues to excel with superb cuisine and flawless service. As always, the food and service was fantastic. The table side salad is always a treat. The complimentary desserts at the end of the meal (White chocolate dipped strawberries) are the best. You will not ever be disappointed at Hugo’s. It can get a bit loud so if you are seeking quieter, ask for a booth. My wife and I have been going to Hugo's Cellar for at least 15 years and always before everything was excellent. This year our waiter was slow and was abrupt with my wife when she asked for the dessert menu. Her steak was very good but mine was not what I would consider worth $65. We will be looking for a new steakhouse the next time we go to Las Vegas. You must try the Hot Rock Specialty for 2, so flavorful and a great sampling. 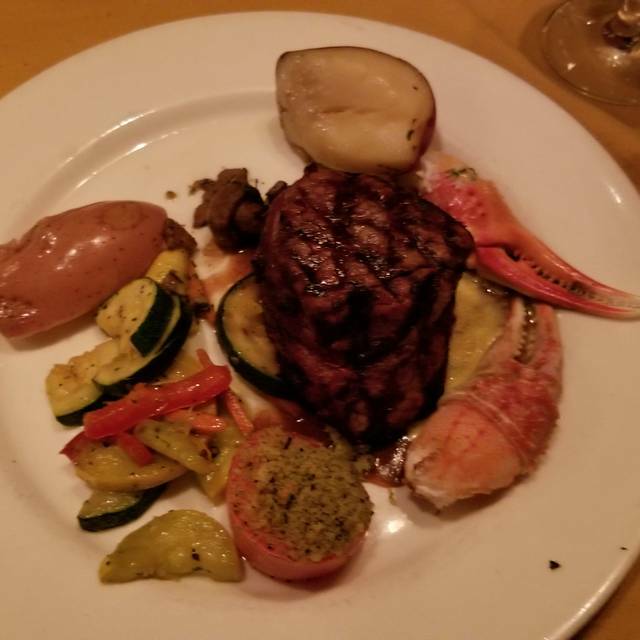 It was served on a sizzling granite stone that cooked the selections of shrimp, chicken, ahi and filet to perfection. The Sommelier suggested a great paired wine, that complemented everything plus the Escargot en Croute. We relaxed and never felt rush to leave. We will definitely return. Low lighting with an amazing touch of class. Gave us the feeling of Los Vegas in the 50's / 60's. Will be back. Always excellent food and Service. A must at least four times a year for locals. This Restaurant is amazing! Impeccable service and Delicious food! Thank you for such a wonderful evening. The sommelier was GREAT the gentleman that prepared our salads was very pleasant. The actual waiter so not good! Good experience, probably a one time only place. No complaints about food or service, but too many other nicer steakhouses in Vegas. Good place for special occasion once you are away from casino area. Prices are on par with other off strip steakhouses. Did like that sides come with dinner versus a la carte. AFTER WAITING 3 YRS TO GET TO EAT IN HUGO'S CELLAR....I WILL SAY IT WAS WELL WORTH THE WAIT AND I WILL BE BACK THE PLACE IS WONDERFFUL AND THE FOOD IS EXCELLENT.....THE RED ROSE WAS AN UNEXPECTED BONUS ..
We love Hugo's cellar! This was our fourth time! We visit Hugo's Cellar on our annual trip to a conference and they never disappoint. Huge portions, delicious food, great ambiance, old world charm. A real hidden gem. I’d go back over and over again. At first glance one would think, very expensive. But when you see the size of the portions and see what comes with the meal you will understand how reasonable it really is. Been to places that were much more expensive and got nothing for my money. I loved this restaurant. Had dinner with three friends here. We were seated immediately and had top notch service for the whole meal. Excellent food as always. This remains one of my most recommended places when people ask me where to go for dinner in Vegas. We looked for a place that was old school traditional Vegas to celebrate our anniversary. Hugo's surpassed my expectations. 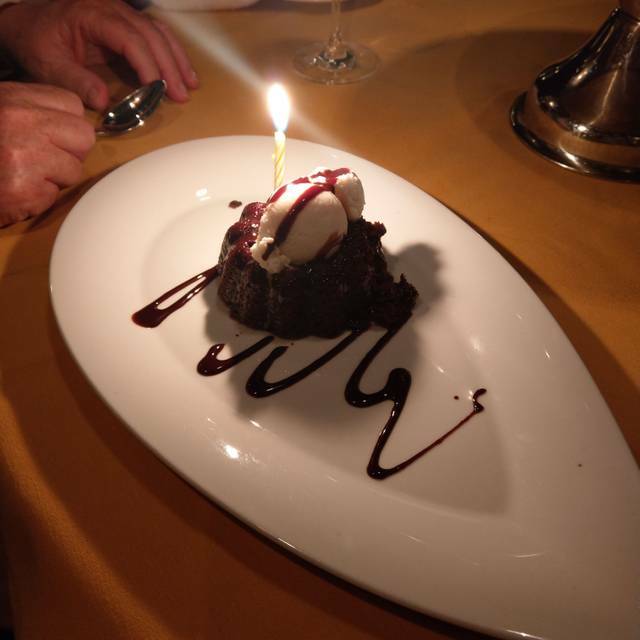 From the Rose offered to my wife upon arrival to the table side salad to the chocolate molten cake delivered to celebrate 19 years together. The service team assigned to our table was impeccable and highly recommend. I will say we got the surf and turf split plate and my ONLY criticism was the 5oz steak was too thin and small. Other than that this place nailed it. 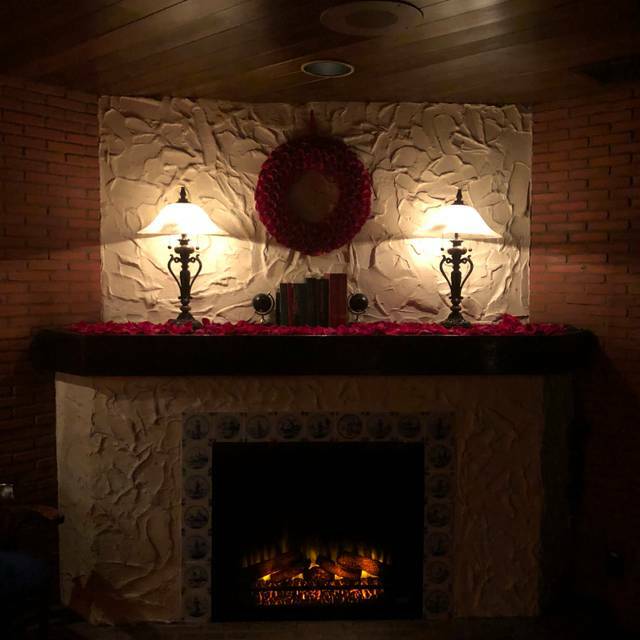 This is one of our special places for a wonderful dinner. My wife and I split the entre and get a second salad and sides. It’s a very old school special place. Fantastic Old Vegas style dining. The sommelier was legit, the wine and food so good. Will never come back to Vegas without a return trip. 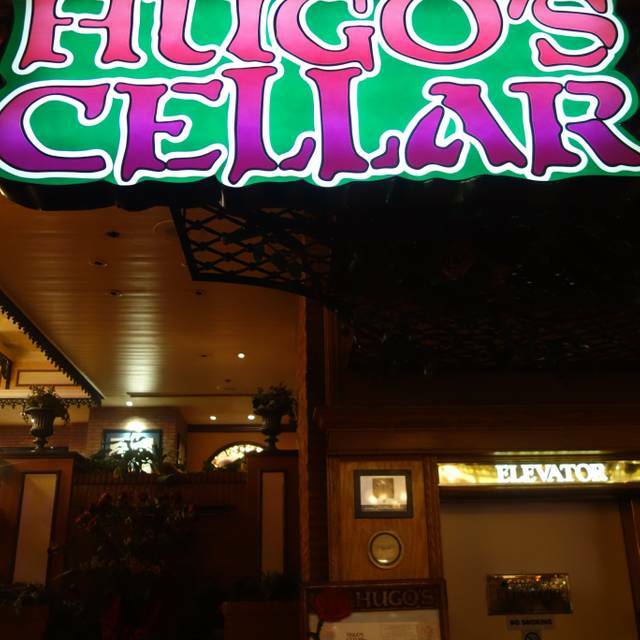 Each visit to Vegas would feel incomplete with out a visit to Hugo’s. Love the vintage Vegas feel and the staff is impeccable. The meal was wonderful and the desserts were even better. The duck was The I have had in all of Las Vegas. We to be a bit aggressive in getting a wine list (that happened the last time I was here). This restaurant is amazing! Staff have been there for ages and they are all wonderful! David and Glenn were on spot and I would recommend to anyone visiting Vegas! Or if you are a local like myself, it is delicious!! My very expensive Filet was like rubber. Didn’t even finish it. Outstanding meal. The table side salad is exceptional. Went with a group of eight people and everyone LOVED it. Rather pricey but great service and ambiance. My wife had the Lobster Bisque which was very buttery and a bit too rich. I had the salmon which was cooked just right. The table served salad was delicious. The service is top notch as good as a very very expensive restaurant. The food is well above average I had the Beef Wellington and it was amazing. The prices are great considering the quality of the food, service, and whats included (table side salad). I had the Lobster Bisque and I must say it is one of the poorest I have had but other than that I loved the other items and desserts we had! 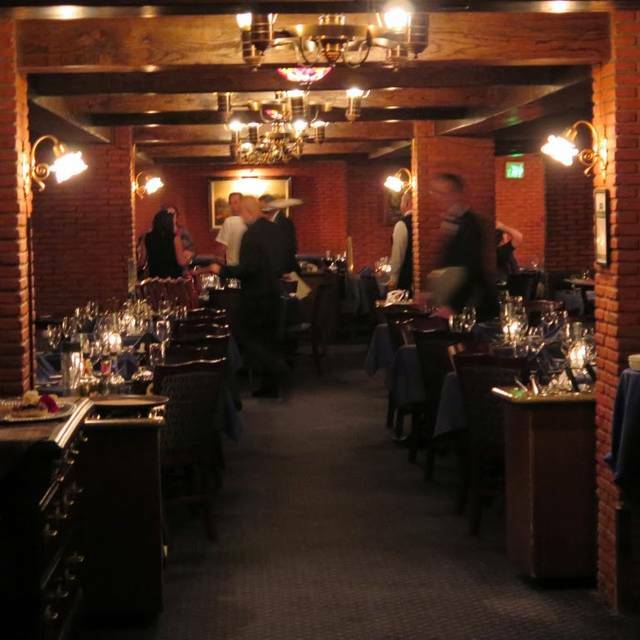 Hugo's is our favorite place to eat and take friends and visiting relatives. I guess we chose a bad time to celebrate our neighbors' anniversary, on 4/7/19. 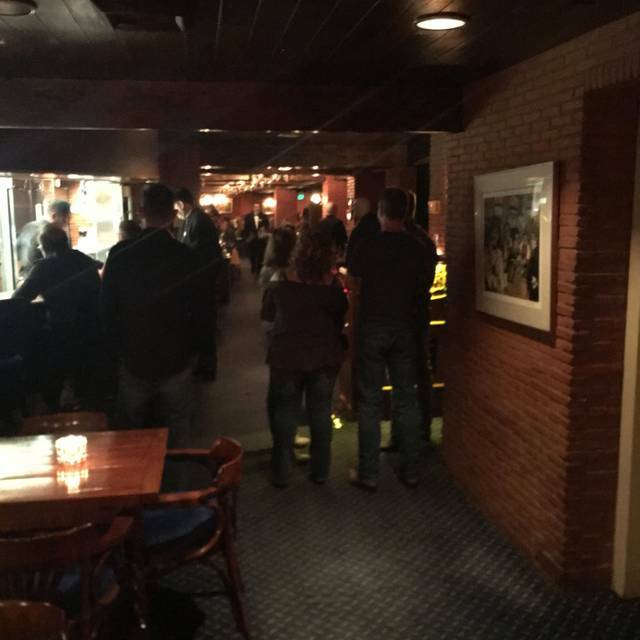 The restaurant was packed, and both the service and the food seemed to suffer. 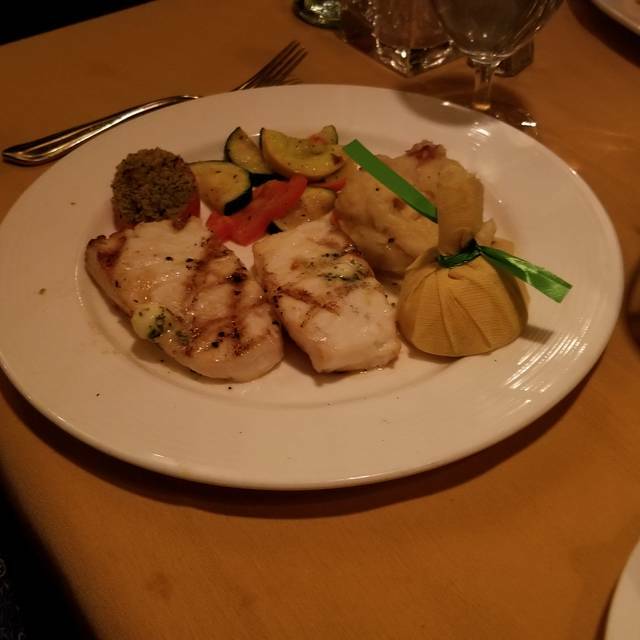 Fortunately, our guests were very impressed, while we were disappointed, with the Veal Scallopini Oscar. Of course we will be back, but choose our timing more carefully! I have visited Hugos Cellar at least a half dozen times now and every time I have been very pleased with my stay. The food is excellent the staff is superb and one gentleman in particular, Michael our server is absolutely exceptional. Every time I have been to Hugos Cellar he has been our server and has made our experience something to remember. To you sir, I thank you. Great romantic setting and the food is 2nd to none. Ofcourse a rose for every lady. Once inside you kinda forget your in Vegas for a short time. We went there after our wedding to celebrate and it was the perfect romantic setting for it. For was also amazing! The tableside salad was fantastic! This fine restaurant has been open for 43 years. We experienced the many reasons it has lasted so long. Everything is first rate. Everything. Yiu will not be disappointed.